Veteran newsman A Kadir Jasin has warned Pakatan Harapan leaders that social media is a double-edged sword. He pointed out that the same platform which contributed to Harapan's victory in the last general election could also lead to its downfall. Therefore, Kadir, who is a special advisor to Prime Minister Dr Mahathir Mohamad, urged Harapan leaders to be more circumspect about what is posted online. "If possible or if you have the guts, please control your wives and kids not to spread photos or stories on luxury trips to the Alps, taking a private jet or flying first class to Monte Carlo," he added in a blog posting this morning, without mentioning names. Kadir said the prime minister should not be left with the task of cleaning up after his subordinates. "It is irresponsible and dangkal (shallow) to hope that the prime minister will solve everything and clean up the mess made by ministers, menteri besar, chief ministers or deputy ministers," he added. Kadir also said it was pointless for Harapan to talk about grand subjects when the coalition is unable to resolve basic issues better than the previous government. He cited the price of goods, transportation, unemployment, education, health and housing as examples. Contacted later, Kadir declined to reveal names. “If you follow social media, you would see such characters, those who exhibit their wealth. I do not wish to mention names. What I have written is sufficient,” he told Malaysiakini. In his blog posting, the Bersatu supreme council member also claimed that Mahathir is not pleased with the performance of his ministers. "I believe that the public knows that the prime minister himself is not too happy or satisfied with the performance of cabinet members. "Almost every time he meets the public and reporters, he will be asked about the inefficiency of ministers, ministers who seldom meet the rakyat, ministers who occupy themselves taking selfies with officers, and ministers who do not tell the truth on their personal details," he added. 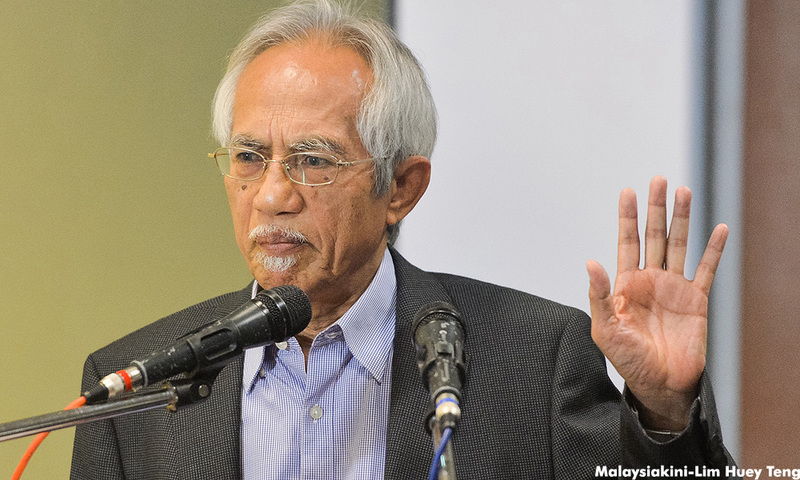 Kadir Jasin: Did PAS withdraw suit fearing 'the truth'?